Life at St Mirren Park is feeling a little rosier this week. A 1-0 victory over Livingston has helped to put clear daylight between the Buddies and the Scottish Championship drop zone heading into a testing encounter with runaway leaders Rangers which has them priced at around 13/2 at the time of writing within the sports book of 32Red UK to take anything from that contest. Back-to-back relegations does not bear thinking about for Ian Murray’s men, and few inside the camp will have allowed such thoughts to have crossed their mind. We are, after all, yet to reach the end of October, with there being a lot of games to be played and a lot of points to be contested in the weeks and months to come. 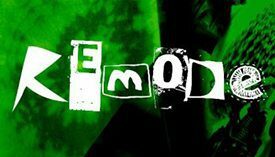 Momentum will have to be established at some stage, though, if any lingering fears of being sucked into another basement battle are to be completely laid to rest. Even with another victory on the board, only five points separate the Saints in sixth from Alloa in 10th, with three sides perched above the potential play-off trapdoor grouped together on 10 points. What, then, do St Mirren have to do in order to ensure that they continue to look upwards, rather than over their shoulder? Many of these points may feel like stating the obvious, but sometimes breaking football down to its simplest form is the best, and most productive approach. Clean sheets: It goes without saying, but if you stop the opposition from scoring, you are not going to lose football matches. Of course, this is easier said than done, but plugging holes at the back should be considered a top priority for any side – regardless of league standing and ambition. This has, in truth, been an issue for the Saints for some time. Just two shut-outs were secured across the whole of the 2014/15 campaign, and only two have been added to that tally this term. To put things into perspective, the Saints have only failed to score in one outing this season – a 0-0 draw with Greenock Morton – so keeping opponents out should, in theory, deliver a much healthier points return. Bite-sized chunks: Again, this is a philosophy adopted by just about every side on the planet, with fans and members of the press tired of hearing managers/players churn out the tired old cliché of taking things ‘one game at a time’. That does have to be the approach, but it can be difficult not to let focus drift when results are not going your way. St Mirren have to look at breaking their season down, though. Their next four league outings will see them face the current top four in the division, so they can consider this to be something of a bonus run – a sequence which could realign their ambition. After that testing period is over, they will then face Morton (twice), Queen of the South, Dumbarton, Alloa Athletic and Livingston through to the turn of the calendar year. This is a run they really should be looking to fill their boots in before once again taking stock of where they stand. Home form: The Saints, as recent top-flight performers and League Cup winners, should fancy their chances each and every time they take to the field in front of their own supporters, with the betting markets of 32Red, betbright, 888sport et al likely to reflect that. 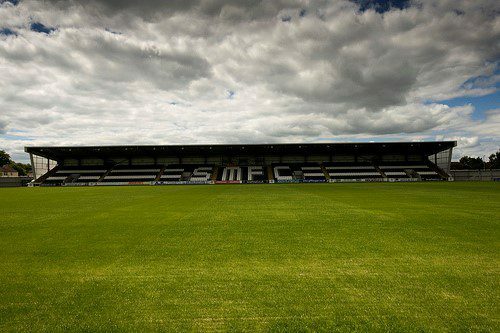 St Mirren Park has, however, been anything but a fortress of late, with few opponents fearing a visit to Paisley. While successes have been enjoyed in the Petrofac Training Cup, just two points have been collected on home soil this season, with the clock having to be turned back to May 16th to find a last league victory. While meetings with Rangers and Hibernian next up may deliver little reward, there are fixtures to come which really need to turn the tide. Fans: Getting things right at home will be imperative to keeping supporters on board. There has been little indication as yet that the fans are growing restless, with attendances still averaging around 3,000 and Murray quick to talk up the travelling support being shown following Saturday’s victory at Livingston. January: Stability and consistency will be key from this point, with it important that a favoured XI is settled upon and entrusted with generating positive results. Murray has resisted the urge to tinker too much thus far, and he will hope to see the faith he has shown rewarded. He will, however, also be aware that a sprinkling of additions in the New Year may help to freshen things up and either spark a surge over the second half of the season or help to build on the foundations which have been put down by that point.